MONACO — In what appears at first glance to be a simple, magnanimous act, a Russian billionaire is poised this week to return two Picassos, valued at $30 million, to the artist’s stepdaughter, who says the works, both portraits of her mother — Jacqueline Roque, Picasso’s second wife — were stolen from her. The businessman, Dmitry E. Rybolovlev, owner of one of the world’s most valuable art collections, said in an interview last week that he bought the works in good faith in 2013, without any hint that there was a question about their title. “I feel solidarity with her, especially because there is a strong emotional link between the portraits of her and her mother,” Mr. Rybolovlev said in the interview from his penthouse apartment here overlooking the Mediterranean. For the past year, Mr. Rybolovlev has been battling Mr. Bouvier in courtrooms in Paris, Monaco, Singapore and Hong Kong in a dispute that has shed light on some of the murkier corners of the international art market. He has accused Mr. Bouvier, who helped him amass his collection, of fraud by overcharging him as much as $1 billion for multiple pieces of art. “A movie could be made out of it,” she added. The feud began last year, Mr. Rybolovlev said, when by chance he met an art adviser over lunch during a Caribbean vacation and discovered that — in a purchase arranged by Mr. Bouvier — he had paid $118 million for a Modigliani painting that a hedge fund billionaire, Steven A. Cohen, had sold for only $93.5 million. Now, by returning the Picassos as planned in Paris on Thursday, Mr. Rybolovlev is supporting Picasso’s stepdaughter, Catherine Hutin-Blay, whose theft claim is being investigated by French officials. But Mr. Bouvier complains he is being unfairly attacked by an art-world insider who understands the rules completely. He says he believed he had legally purchased the Picasso works, and their return, he said, is being staged only to embarrass him. “It’s a pure media show,” said Mr. Bouvier, 52, who nonetheless was ordered by the French court to deposit the price of the portraits while the inquiry progresses. 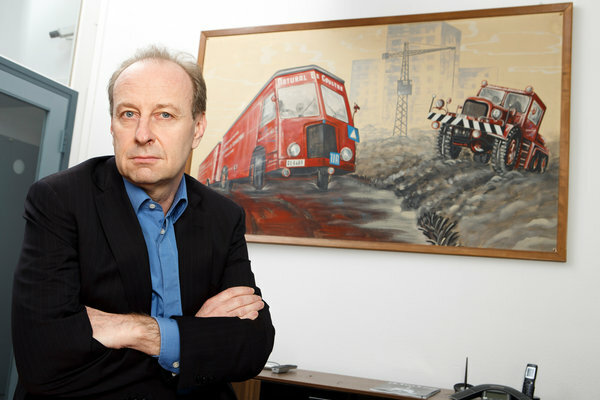 Though it is his work as an art dealer and adviser that has drawn fire from Mr. Rybolovlev, Mr. Bouvier, a Swiss businessman, is better known as a man who runs an expanding network of freeports, the largely tax-free storage depots where wealthy collectors now store so many of their treasures. The dispute would be noteworthy if it were only a clash of giant egos. But Mr. Rybolovlev says his goal is larger. Sitting in his Monte Carlo home, Mr. Rybolovlev, a trim, reserved man of 48, announced with clinical detachment his hope of focusing attention on the often opaque nature of transactions in the art market, where buyers often do not know the identity of sellers. “If the market were more transparent, these things wouldn’t happen,” he said. The two men met in 2003, when Mr. Bouvier began helping Mr. Rybolovlev with his collection. Trained as a physician, Mr. Rybolovlev made his fortune in the production and export of potash fertilizer after the collapse of the Soviet Union. Forbes currently estimates his worth at more than $8 billion. Through family trusts, he has bought a Greek island, Monaco’s soccer team and real estate around the world, including Donald Trump’s former oceanfront home in Florida. He has also spent nearly $2 billion on art, relying often on Mr. Bouvier’s contacts to obtain works by El Greco, van Gogh, Matisse and others. Mr. Bouvier is known as the “king of the freeports” because he is the main operator or lead private investor in three of the half-dozen or so major freeports that are known to specialize in art. His private transportation company and high-tech warehouses in Switzerland, Luxembourg and Singapore draw business from wealthy collectors who want to store and trade their possessions privately with tax advantages. In these roles, he circulates on the global art circuit, building a network of contacts that he puts to work for his art-buying clients, like Mr. Rybolovlev, who was his biggest. “That is the way of the art market,” said Mr. Bouvier, a wiry man who wore sneakers to an interview at a Geneva steakhouse. “It’s a hunt for information.” And those who collect it, he said, expect to be paid. Larry Gagosian, the New York art dealer, is among those who question whether Mr. Bouvier should be both storing and selling art since running a warehouse gives him privileged information about collectors’ art holdings. “I’d consider it a terrible conflict of interest and would never keep art long term in the warehouse of a dealer,” Mr. Gagosian said. Mr. Rybolovlev acknowledges, though, that he had full confidence in Mr. Bouvier during a period when, by his account, they spent much time together on his private Greek island or in the soccer stands at Monaco. Though Mr. Bouvier acknowledges socializing with Mr. Rybolovlev, he says the two were not close. “I never spoke to him directly for more than two minutes on the ski lift,” said Mr. Bouvier, who noted that they communicated through translators because the Russian businessman spoke little French or English. Everyone agrees their relationship suddenly soured late last year as they argued over payments and disputed the terms under which they were doing business. Mr. Rybolovlev says he had believed Mr. Bouvier was acting as his intermediary in their transactions, negotiating the best price and taking a 2 percent fee, based on the purchase price. In emails to the Russian’s adviser, Mr. Bouvier appeared to portray himself as negotiating hard terms or, in one example, urging Mr. Rybolovlev to make a speedy purchase because “the seller is very old and has a heart condition.” Mr. Bouvier, though, said it was always clear that he was operating as an independent seller who could buy the art and resell on his own terms and charge Mr. Rybolovlev what the market would bear. Last January, Mr. Rybolovlev filed a criminal complaint in Monaco, asserting that his trusted adviser had been secretly marking up the works that he obtained on the collector’s behalf. Mr. Bouvier was arrested but released on bail, and the case is still unresolved. Mr. Rybolovlev also went to court in Singapore, where Mr. Bouvier lives, to freeze $1.1 billion of Mr. Bouvier’s assets. But a court there lifted the freeze. “It is at least doubtful, even if not wholly incredible, that the respondents genuinely believed that the remuneration for Mr. Bouvier’s services was limited to the 2 percent fee that the respondents plainly knew they were paying him,” the judge in the case wrote. Their latest skirmish involves the two portraits of Roque, who committed suicide in 1986. In testimony to French investigators earlier this year, Ms. Hutin-Blay, 67, said she had entrusted the gouache portraits of her mother and other works to a business partner of Mr. Bouvier’s to store for her in a vault outside Paris. Several years later, she said, an art restorer who worked for Mr. Bouvier’s company in the Geneva Freeport, told her that the painting had been brought there, restored and sold to Mr. Rybolovlev. In March, Ms. Hutin-Blay filed a legal complaint asserting that her property had been stolen. For his part, Mr. Bouvier said that while he never met Ms. Hutin-Blay, he had believed intermediaries were representing her in the sale. 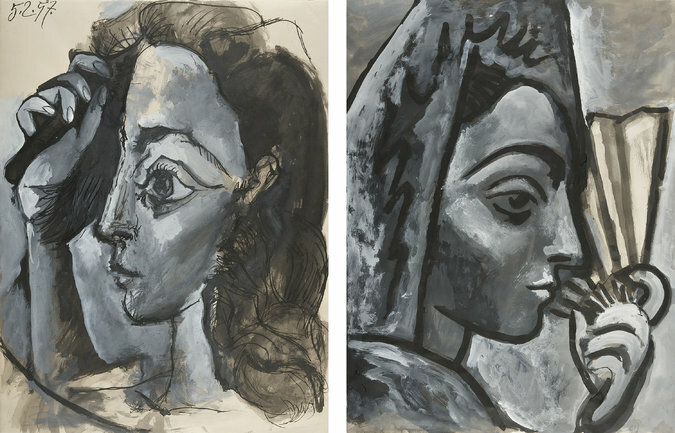 Documents show he wired $8 million for the Picasso portraits in 2010 to the Nobilo Trust, of which, he said, he believed she was a beneficiary. But Ms. Hutin-Blay’s lawyer in Paris, Anne-Sophie Nardon, said that Ms. Hutin-Blay had never authorized the sale of the paintings or received the money. She declined further comment and would not discuss whether Ms. Hutin-Blay did have a relationship to the Nobilo Trust. “It was a personal act of betrayal,” he said. Mr. Bouvier’s French lawyer, Ron Soffer, pointed out that Mr. Bouvier had not been charged with a crime. Mr. Bouvier himself seemed unbowed during the interview last week, as he rummaged through a shopping bag full of documents that he said showed how unfair it was to suggest he had sold Mr. Rybolovlev stolen Picassos. A version of this article appears in print on September 24, 2015, on page C1 of the New York edition with the headline: Return of the Two Picassos.